The price of new homes is up slightly with Statistics Canada’s New Housing Price Index climbing 0.4 per cent in February compared to a month earlier. The gain was driven by higher prices in Ontario where prices were higher in every one of its 10 metro areas. The largest gains were in Guelph (1.4 per cent) and Oshawa (1.2 per cent) but the overall impact from a 1 per cent rise in Toronto was greatest. 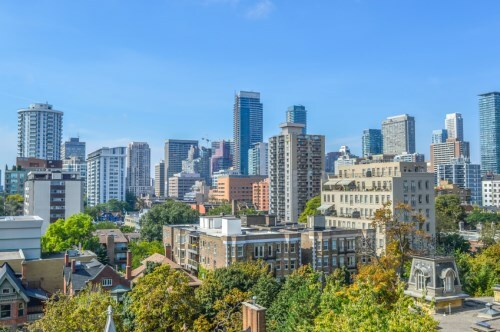 Hamilton and Victoria also saw new home prices rise 1 per cent while Calgary declined 0.2 per cent and Vancouver was down 0.1 per cent. On a 12-month basis, the NHPI was up 3.3 per cent driven by an 8.6 per cent year-over-year rise in Toronto. Victoria, St. Catharines-Niagara and Windsor saw gains above 6 per cent. Six metros saw new home prices fall, driven by lower prices in Alberta and Saskatchewan.